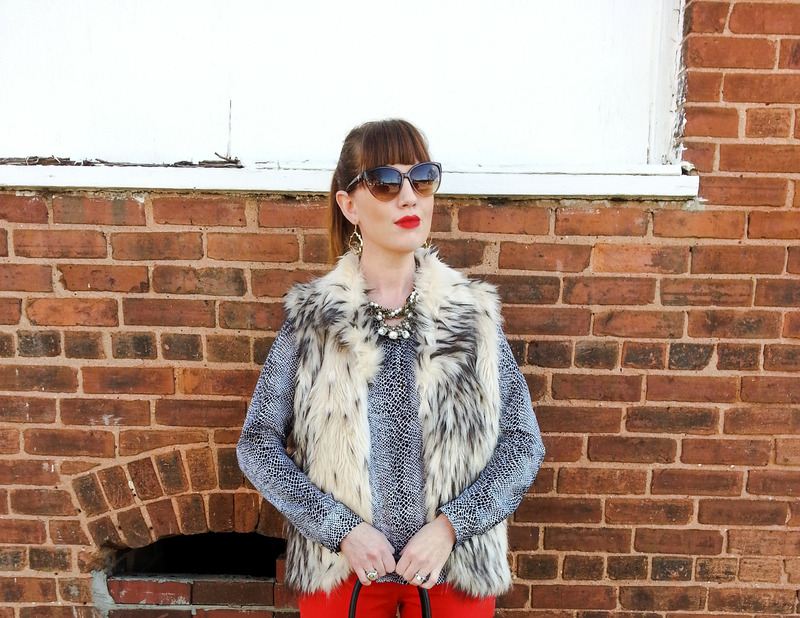 Fully Vested In Faux Fur…. I’m casual today and sporting layers since the weather can’t seem to make up its mind! One day it’s cold here and the next it’s 70 degrees! I’m following the faux fur fashion trend and wearing my faux fur vest. I bought this vest last year from Bedford Cottage and although I LOVED it…I struggled with styling it. For some reason, I always paired it with browns and cream – which are not colors I typically wear – and usually didn’t quite have the right pieces to go with it. I recently brought it back out to wear this season and decided to take a good look at the colors to see if I could style it differently. I was quite surprised when I realized the vest actually isn’t brown and cream but black and white! 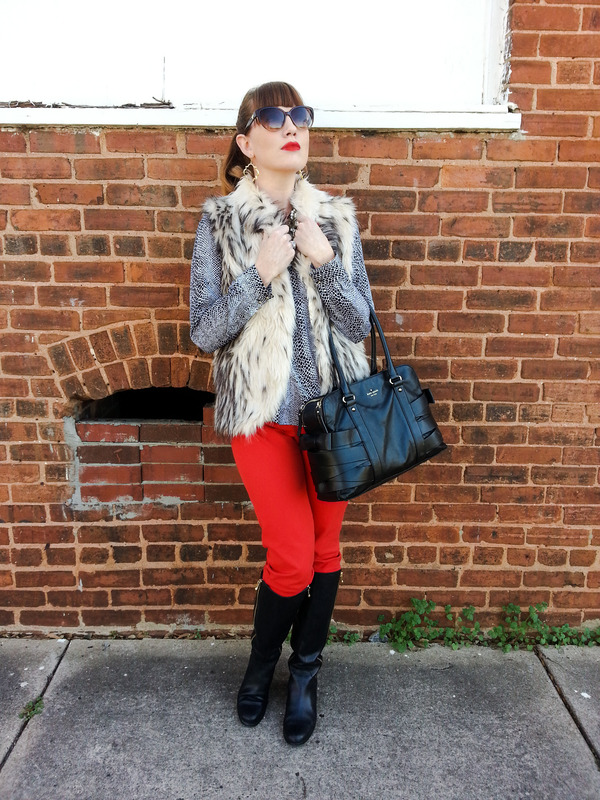 I wanted a bold and riche look so I chose a black and white animal print Cynthia Crowley blouse with red Cynthia Crowley pants and black Tahari boots – all from Marshalls I might add. Shop a look similar to mine below! 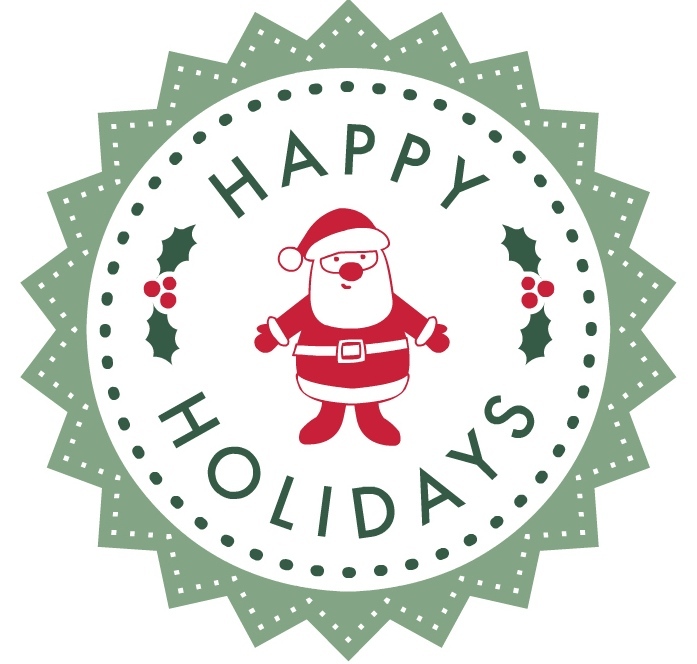 Or visit your closest Marshalls store…I know they still have the Tahari boots in stock! Pants: Previously purchased at Marshalls but love these also! Blouse: Previously purchased at Marshalls but love this one from Nordstrom also! Vest: Love this one from Bedford Cottage! Boots: Tahari Billings Riding Boot – currently on sale at Marshalls! Also possibly available at your local DSW – check here! Necklace: Chloe + Isabel Torsade Necklace – available here also! Bag: Iconoclast by Kate Spade – Sold out …so sad…but similar Kate Spade NY here! Love your vest, it looks real! Love how you paired it with the red! 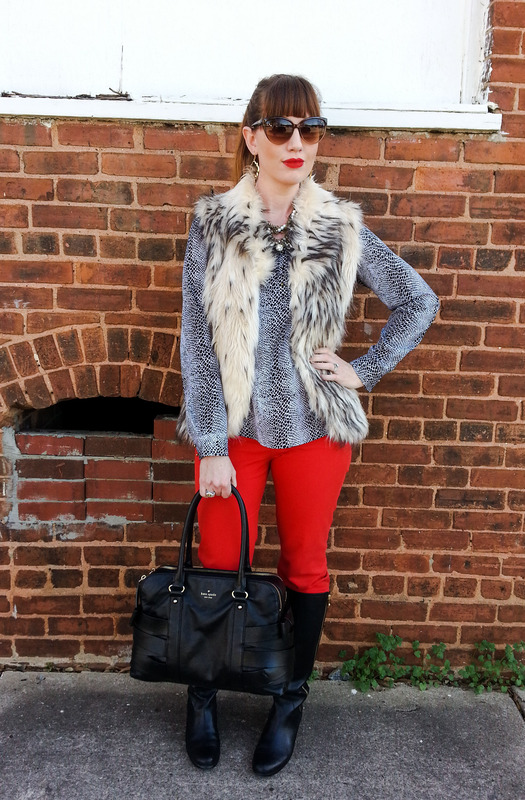 Love your Shirt/ Red Trousers, mixed with the furry gilet I love !!! You cannot beat this awesome gray and red and wintery look~!! I really love the patterns and textures!